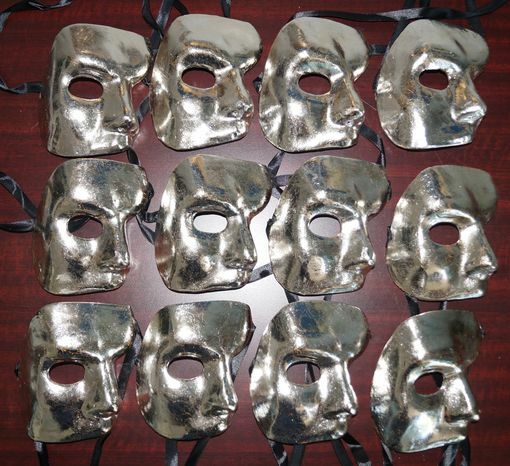 This Phantom mask party pack comes with 12 hand painted masks. Masks are made of paper mache. Color of masks is silver.